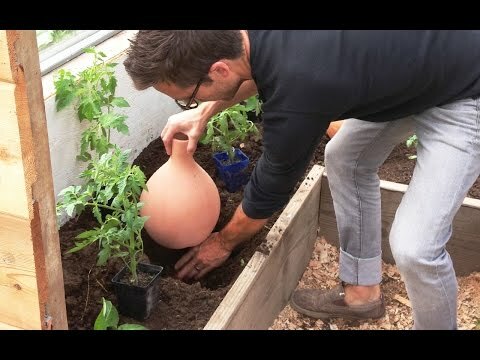 This porous terracotta vessel waters plants naturally and efficiently, right at their roots. With the Oya, the water doesn’t run off or evaporate like it does when you water at the surface. 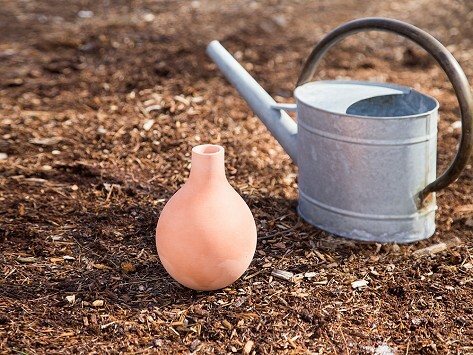 Simply plant the Oya in the ground and fill with water every few days. Your plants get exactly what they need and you save water and time. Plant 24" apart, coverage area of up to 2 ft.
Fluid Capacity: 33.81 fl. oz. With the time-honored wisdom of the Oya, you’ll save time, save water, and grow happier plants.